Does having good credit really matter when applying for a job? The answer to that is, it depends. Does having good credit really matter when applying for a job? The answer to that is, it depends. While some job positions do not essentially require their applicants to have good credit, some positions do. While there has not been a research paper or a study that shows a connection between lower credit scores and financial crimes, it has become a protocol for numerous employers to conduct a credit check of their applicants to assess their character and how they might possibly handle their future job. Employers will take a look at your credit report and study your financial behavior and habits, including how you handle your accounts, how you pay off your credit card balances or monthly loan payments, and whether you always miss or make late payments. Keep in mind, though, that an employer cannot just pull your credit report. You must give them full permission to check your report. The only downside is, if you refuse, you are at risk of losing the job. For many applicants, conducting a credit check to assess their future job performance is unfair and unjust—especially if their bad credit is a result of being laid off, being in the hospital, or other events that are out of their control. If you are trying to find a job but have poor credit, there are numerous ways to improve your credit. In addition, there are some states in the United States that have already passed laws regarding limiting and restricting the use of credit information in the employment procedure. While it is evident that fewer companies and organizations are conducting credit checks on applicants, most of those do are doing so because of the sensitivity of the job positions. Those who are applying for positions with financial responsibilities, executive roles, and positions with access to confidential information including social security and account numbers should expect a credit check to be run on them. So, if you’re done putting the final touches on your resume, take a look through the jobs listed below to see if you might need to work on your credit as well. • Mortgage professionals- If you are applying to become a mortgage professional, the need for you to disclose your credit report depends on the state in which you live. When the housing industry hit an all-time low, many home owners were on the search for professionals who could help them prevent foreclosure and avoid going bankrupt. To keep fraudsters and scam artists taking advantage of these people looking for help, licensing has become very strict. • Job with Financial Responsibilities- If you are applying for a position at a bank, the interviewer will most likely ask you to disclose your credit report. Since you are going to be handling money, the employer will want to see how you handle money yourself and if you are financially responsible. • Government Positions or the Military- Government workers need to be trustworthy, especially that many of them might need security clearances. There are also government employees who might have access to social security numbers belonging to other people. Therefore, government agencies require applicants’ credit reports and use them to assess their characters. While the jobs listed above are those for which a credit check is normally conducted, it is still important to work on your credit report as you may never know when a future employer could ask for one. So before you apply, make sure that you order your credit report and score. Identify the negative items that could be hurting your credit, including errors, inconsistencies, and/or unauthorized transactions and work on improving them. Have them corrected and raise your concerns with the respective establishments. If your credit report contains undesirable information, there is no need to refuse a credit check and risk losing the job. Instead, be prepared to discuss it with your potential employer. Keep in mind though, that even if employers do not necessarily look at your credit score alone, it is vital that you monitor your credit score as it is a reflection of your credit report. 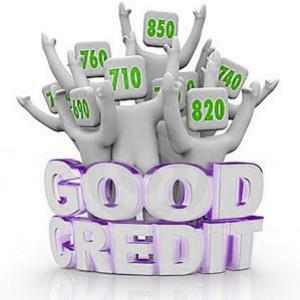 Credit scores affect people’s chances of getting a job, and although many applicants will agree that it can be a little unfair to base a person’s future performance on his or her credit history, some employers find it to be necessary. By checking a person’s credit, the employer might gain an idea about how responsible and financially secure his or her applicant is. When an applicant is financially secure, it becomes an advantage because an employer would, of course, want to hire the applicant with no debts and no delinquencies to distract him or her from his or her job responsibilities. Page loaded in 1.097 seconds.